Many people are unaware that their job environment could cause hearing loss. Thinking about hearing loss from industrial work usually isn’t the first priority for most people. You’re probably more concerned with getting your job done or basic safety policies. But bodily harm isn’t the only cause for concern in the workplace: industrial machinery can cause permanent damage to your hearing. Being aware of your surrounding conditions, and what kind of noise levels you’re experiencing, is the only way to protect yourself. Check with a superior to be sure that you shouldn’t be wearing any kind of additional ear protection. As we’ve mentioned before, any noise that rates over 85 decibels can cause hearing loss. If your workplace has machinery operating at over 85 decibels, you may be experiencing hearing loss without even realizing it. A jackhammer, for example, operates at 120 dB. Be sure to wear proper protection at all times to keep your hearing from being damaged. A lot of industries use equipment that could cause hearing loss. This includes the construction, farming, and military industries. There are laws to regulate the maximum noise exposure that a job can have, but it’s still a good idea to be aware of what noise you’re being exposed to. Even a large truck, if you’re close enough, can cause hearing damage. Over time and with regular exposure, it may impact your hearing in noticeable and permanent ways. Worried Your Ears Are Damaged? Unfortunately, despite all of the regulations in place, some people still experience hearing damage from their workplace. If this is the case, professional treatment is necessary. Make an appointment to have your ears checked for hearing loss as soon as possible. In the meantime, inform your employers and take any extra precautions you can to protect your ears. 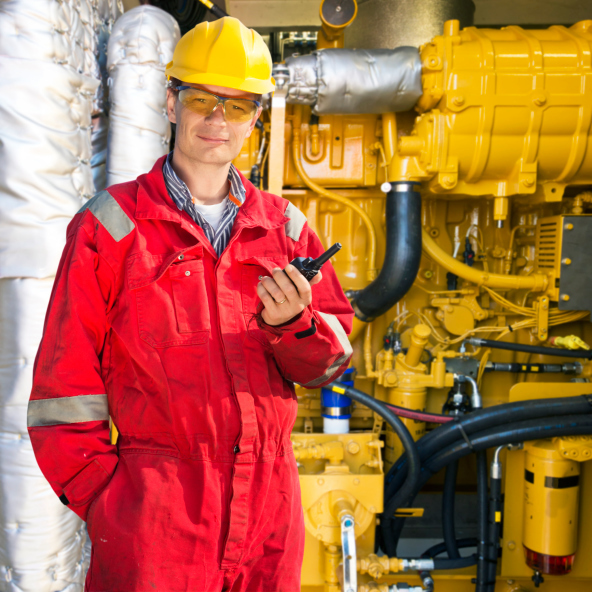 Bay Area Audiology can help your hearing recover from industrial noise damage! This entry was posted on Thursday, March 23rd, 2017 at 11:29 am. Both comments and pings are currently closed.